#1 New York Times bestseller!Author and artist James Dean brings us along for a hippity-hoppity Easter adventure with the coolest cat around—Pete!Pete jumps in to help the Easter Bunny in Pete the Cat: Big Easter Adventure. When Pete wakes up Easter morning, ready to check out his basket of goodies, he discovers the Easter Bunny needs a little extra help. 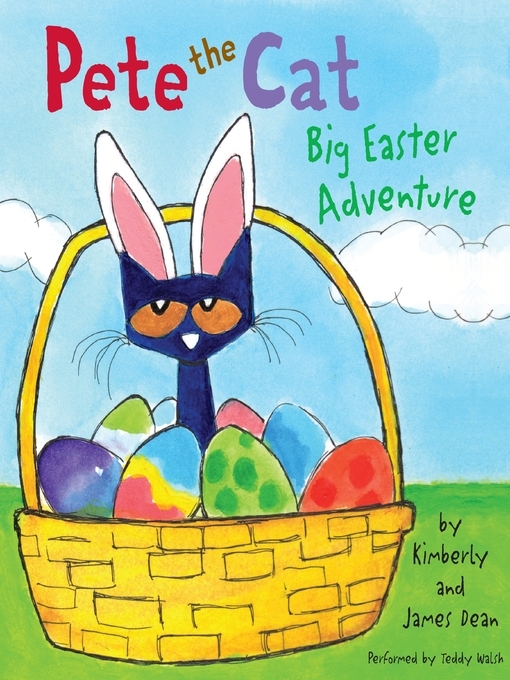 Our favorite groovy blue cat puts on his bunny ears and finds a way to collect, paint, and hide the eggs, all in time for Easter!Fans of Pete the Cat: I Love My White Shoes, Pete the Cat and His Four Groovy Buttons, Pete the Cat: Rocking in My School Shoes, and Pete the Cat Saves Christmas will love this Easter-themed Pete storybook.